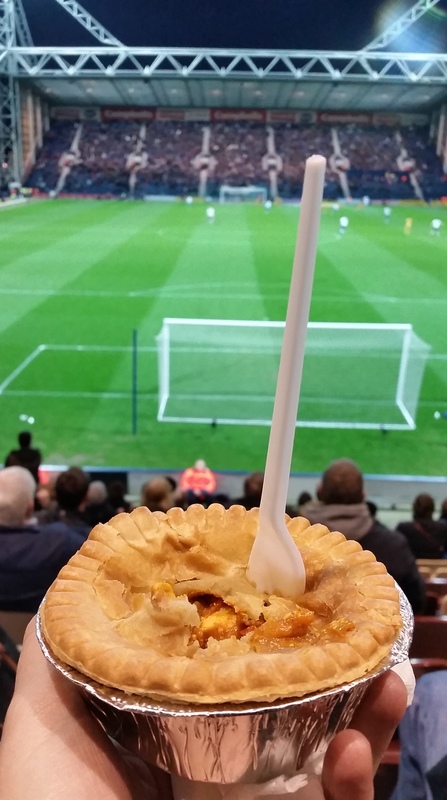 Comments: It’s a good thing I had a pie at Deepdale, because there was nowhere to eat in Preston. Literally nothing. I don’t even recall seeing a McDonald’s. How can that be? There was a Nando’s, but I refuse to acknowledge it’s existence so that was a non starter. After drifting aimlessly round Preston’s city centre dazed, hungry and confused, like someone coming to terms with an apocalyptic dystopia for the first time, I headed towards Deepdale in search of hope wrapped in pastry. To compound matters it was a 32 minutes hike to Preston’s ground. It looked liked I was going to be working harder than most of the Fulham players manage in 90 minutes. 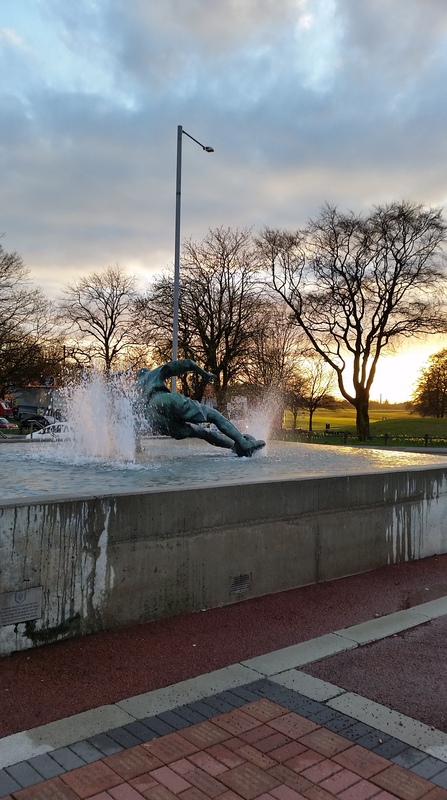 After witnessing a lovely sunset cast over the famous ‘Splash’ statue of Tom Finney (A statue almost, but not quite, as wonderful as Billy Fury in Liverpool) I tucked into my much needed pie. At a wallet slappingly cheap £2.80, rumour has it the cheapest in the division, the omens were good. The fact I was hungry enough to gnaw the congealed sweat out of Scott Parker’s shinpads probably helped too. Alas, my balti pie was only marginally more tasty than Parker’s gunky secretions. Firstly, the pastry crust tasted like an amateur attempt at shortbread. I like shortbread as much, perhaps even more, than the next man, but this was just bizarre lumped on to the side of a pie. Avoiding the claggy, dry outer rim, I found success in the softer, flakier middle ground. Soon I was into the balti filling which tasted quite unlike any curried flavouring I’d ever stumbled across. It simply didn’t taste like a balti. Instead of the tangy spice I was accustomed to, this was an insipid mix of tomato and water. The chicken was a similarly soggy splosh. It all just tasted a bit lifeless and sad, as if it was ashamed to even be a pie and was trying to hide its own shortcomings. Cheap, but not very cheerful. The game was a similarly uninspiring battle of hoof ball interjected by bouts of niggling fouls (24 to be precise). Fulham did the unthinkable and actually ground-out a result, all but vanquishing the threat of relegation. What a waste of nine months. If we’re going to play absolute shite for 95% of the season at least let’s follow it through and get relegated – absolutely spineless the lot of ’em.